Ehime: "What are you doing in such a place, Lizard?" 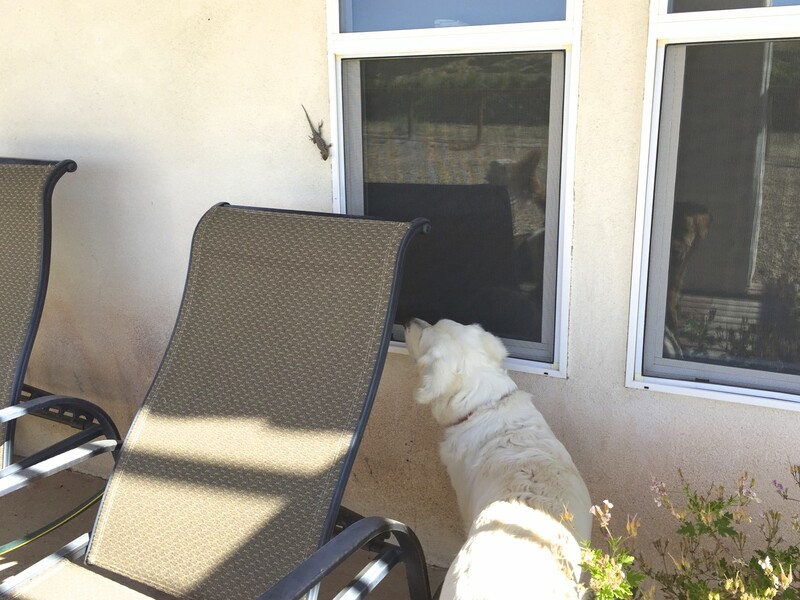 Lizard: "I'm trying to escape from you!" For Kahlua and Kona who feel sorry for lizards from time to time, please click the puppy photo on the right above or a dog picture below to vote for a doggie blog ranking. Thank you!